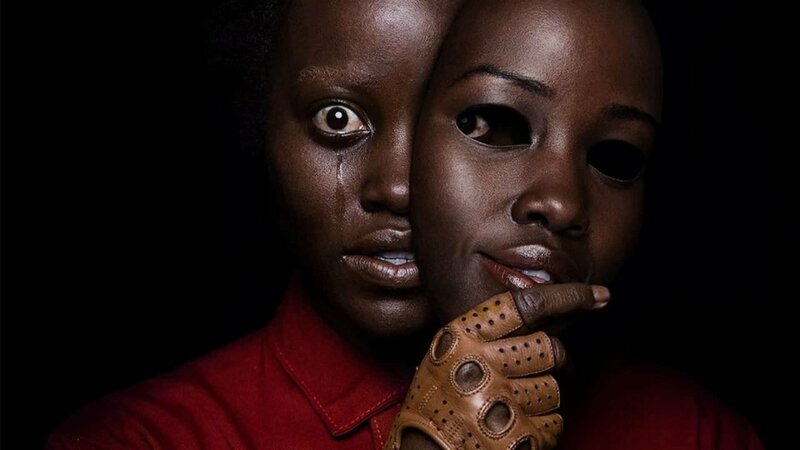 Jordan Peele creates a new horror mythology that will take multiple viewings – and multiple films – to fully explore. 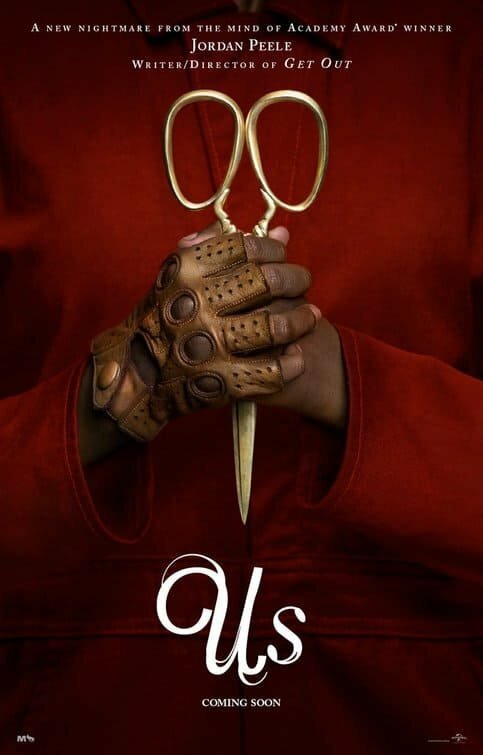 It’s hard to think of another film as highly anticipated as Jordan Peele’s Us that so many people will go into basically blind. The incredible marketing of this film has made that possible. The posters and trailers have captivated horror fans with images that tease the mystery and terror awaiting them, while giving almost nothing of consequence away. This is the way it should be. I’m going to give you my spoiler-free thoughts on this film, in hopes that it will convince even one person who was on the fence take a trip to the movie theatre. This is a film that will be pondered and discussed at great length in the years to come. Trust me, you will not be able to avoid spoilers for long. And the experience of seeing this film fresh is something I want everyone to have. I can tell you a few things about the set-up to this film without giving too much away. We follow the Wilson family as they embark on a weekend trip to a California beach house. The father, Gabe (Winston Duke) could not be more excited to rent a boat and get out on the water. His wife Adelaide (Lupita Nyong’o) mostly humours him, while trying not to let a childhood trauma get in the way of family fun. Meanwhile, their daughter Zora (Shahadi Wright Joseph) is content to spend the whole weekend on her phone, and their son Jason (Evan Alex) is a quiet, introverted child – far more at ease with masks and magic tricks than people. A series of seemingly innocuous coincidences during the Wilsons’ day at the boardwalk leaves Adelaide very uneasy and desperate to cut the trip short. Before she has a chance to convince Gabe that she’s not crazy, they are visited by another family – physically identical to the Wilsons, but terrifyingly different in demeanour. This is how we are introduced to The Tethered. Peele does a masterful job doling out doses of information about these uncanny doppelgangers over the course of the film, spoonful by bloody spoonful. He trusts his audience to do much of the work in unravelling the mystery themselves. I’ve spent all night thinking about this film and I’m positive I will have to see it again to understand everything about the world of The Tethered. It’s a world I can anticipate many more films taking place in, exploring different locations and characters, deepening the mythology we only scratch the surface of here. But here’s the thing – as interesting as the world of Us is to think about — the mythology is not what makes this movie great. The Wilsons are. This is a family you can really root for, as an audience. These are highly intelligent, interesting, and engaging characters. They defy every idiotic horror trope that we’re all too familiar with – dropping weapons, running up the stairs instead of out the door, splitting up when they should stick together, etc. Lupita Nyong’o carries the dramatic weight of the film in a way that harkens the Ripleys and Sarah Connors of the past. Winston Duke provides the comic relief, but never in a way that makes the film seem like a farce. And the kids are not just wailing victims who run or freeze or need to be rescued. Every character shows their resourcefulness and their willingness to sacrifice for one another. That’s the real reason you should watch this film – so you can see a family that is believable and loveable deal with a situation that is beyond anything they thought possible. You will invest in their struggle in a way that audiences rarely do with the subjects of horror films. These are not cardboard characters, doomed to die for our entertainment. They are people you will care about, and you’ll be truly afraid for what happens to them. When you reach the climactic confrontation (set to a truly iconic musical score) you will be gripping your seat and unable to blink. 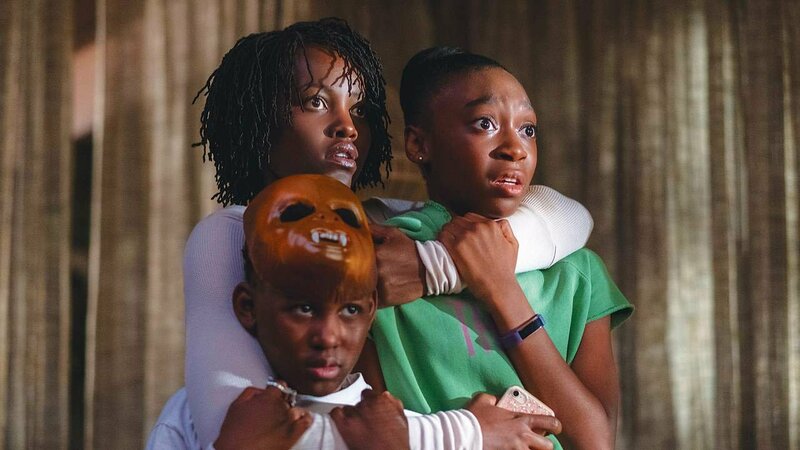 Save for a few minor plot inconsistencies towards the end of the film, Us has solidified Jordan Peele place as one of the great horror directors of our generation. I personally cannot wait to spend hour upon hour dissecting every hidden reference, every vague piece of dialogue, and every visual design choice in this film for months and years to come. But if you’re the kind of super horror nerd who loves that kind of thing, you won’t need my review to convince you to see this movie. But, if you’re just someone interested in seeing a film that will hit you with the perfect mix of suspense and comedy, character and world-building, laughs and thrills – heed my words. Us will satisfy you like nothing else. The only thing holding back US from a perfect score is some minor plot issues, but suffice it to say it is a near perfect horror film.